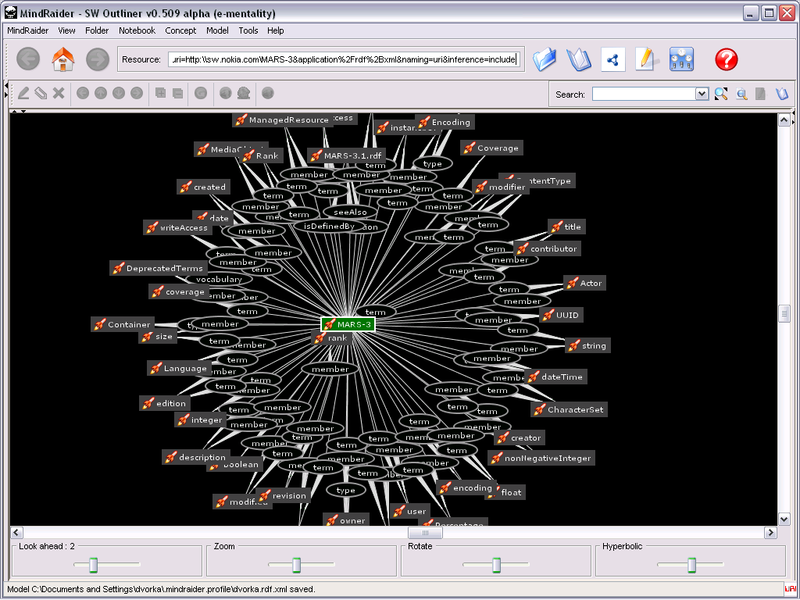 MindRaider provides experimental version of URIQA browser. 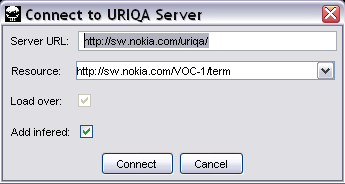 To try the browser, select Tools/Uriqa/Connect to Server... from the main menu. 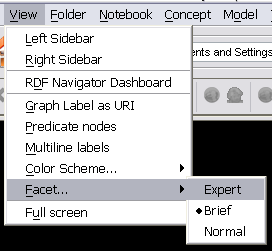 You may choose either that browsed resources' statements will be added to the existing RDF model or current resource model will replace the previous one during the browsing. Whether to load also infered statements of the current resource or not. 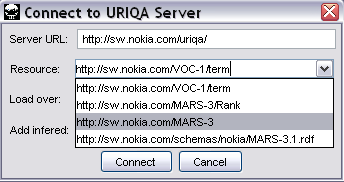 Finally click Connect to load the resource model from the URIQA server. Click that resource in order to select it. Than double-click selected resource. It will cause loading of its model i.e. warp. Please note that only resources marked with "rocket" icon can be selected for warping.